Memories of your teenage years tend to be clouded by raw emotions, from the first pricks of lust to the thrill of independence. Siân Davey, an English photographer, brings that phase of life into sharper focus with her series “Martha”, now being published as a photo book, in which she spent three years following her stepdaughter’s journey out of childhood. 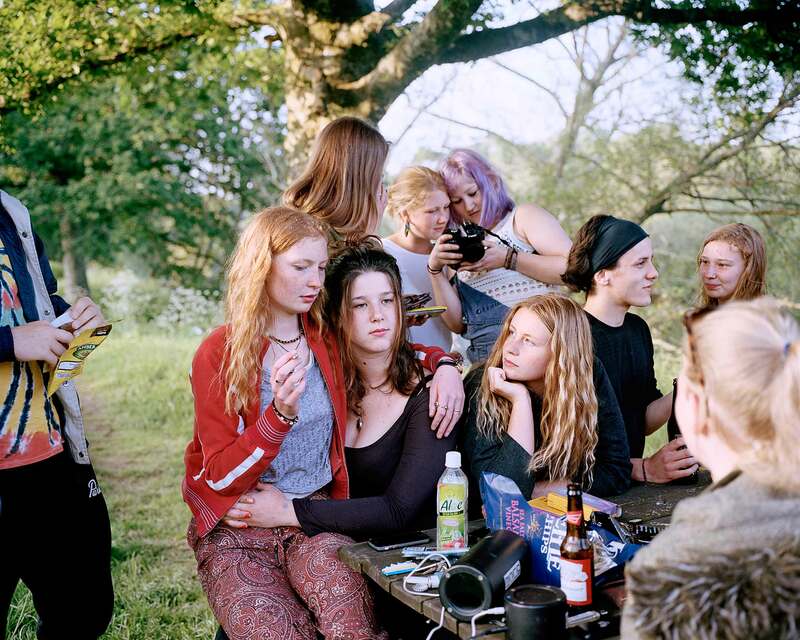 From lazy summer afternoons in the Devon countryside to long, bleary nights dancing at clubs and devouring pizzas, she captures an adolescent world which may feel lost to those who have already passed over the threshold into adulthood. Family relationships – especially complicated ones – have always been at the centre of Davey’s work. She began her career as a photographer documenting the final days of her father’s life; the detritus of pill bottles and old letters in his hospital room reflected the sad end to their difficult relationship. When her daughter, Alice, was born with Down’s syndrome, Davey used the camera to confront her instinctive feelings of fear and denial. The resulting series, “Looking for Alice”, published as a photo book in 2016, chronicled her daughter’s early life. Using a medium-format camera, which captures Alice’s world with intensely tactile detail and delicate light and colour, Davey follows her daughter as she watches TV, gets a haircut, and plays at the beach. With her wispy bowlcut and soulful eyes, Alice is irresistibly charming – and, ultimately, much like any other child. One project led to another when, one day, Alice’s older sister, Martha, aged 16 (above), asked Davey why she no longer photographed her. In the question, Davey detected anxiety, about whether Martha was being valued or loved enough, emotions Davey recognised in herself. As Martha grew up, she began spending less time at home. Davey followed her into a new world of parties and boys that she was making for herself. 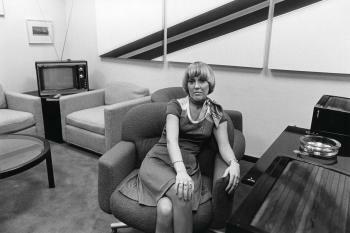 “It was important that I got a handle on the groups’ boundaries and that I didn’t overstep them – notwithstanding the fact that these boundaries were often unspoken.” Because Martha invited Davey into her world, she was able to witness moments in the life of a teenager that are normally guarded from parents. This sun-dappled photograph captures a deeply private look: Martha locks eyes with a new boyfriend. Davey’s work has a painterly feel to it, partly due to her use of a medium-format camera, which she says makes her think more carefully about the composition of a shot than she would if she were using a digital camera, with its limitless exposures. It’s worth the trouble; her photographs reproduce the delicate skin tones of her subjects in a way which is closer to brushwork than pixels. The muted greens of the countryside, which often serve as the backdrop of the series, conjures a modern-day English pastoral in which the bright hoodies and beer bottles feel like a natural update to the genre’s themes of youth and nature.